Rather late I'm afraid, I see that Alice Ludes died on 12th February at the age of 104. Alice was one of the Music Maids, a permanent fixture on Bing's Kraft Music Hall for several years and a number of records exist of them singing with Bing . I'll be hunting up some obituaries in order to link to them. Whilst I have found a few obituaries on line they are all rather brief. 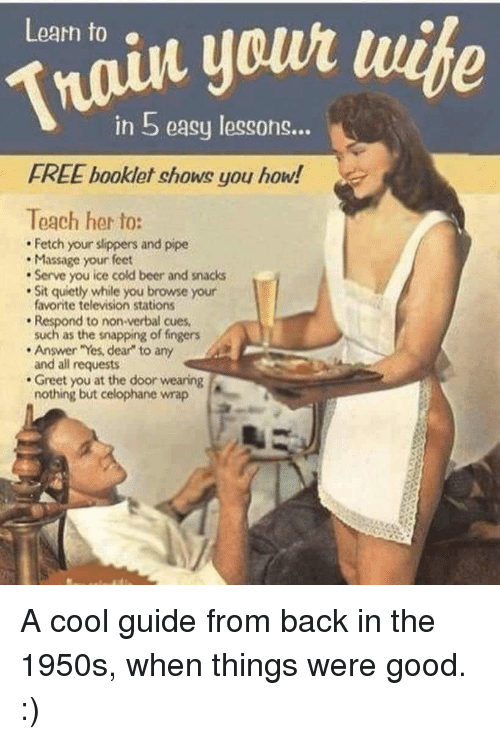 The most comprehensive that I have come across will not allow a link to the full text - you only get the first few lines, so I am being slightly courageous and copying it all below. It is from the March 27th edition of the London Daily Telegraph. ALICE LUDES, who has died aged 104, was an actress and singer and the last surviving member of the Music Maids, Bing Crosby’s female singing group, which rose to fame during the early 1930s. She was bom Alice Sizer on December 20 1912 in Tacoma, Washington, one of die eight children of ER and Minnie Sizer. Her older sister Fem played the piano and took singing lessons to which Alice would sometimes tag along, later recalling that “I listened to the piano tutor and when I got home I copied what she’d played”. After graduating from high school, Alice Sizer worked as a hatcheck girl, a lift operator and shop assistant before, in 1932, forming a singing trio, the Williams sisters, with two girls she had met through Fem, and the group subsequently moved to San Francisco, where they got a contract with NBC. In 1939 Alice Sizer met and married the NBC radio announcer and technician Ed Ludes and moved to Los Angeles when NBC moved her husband to California. 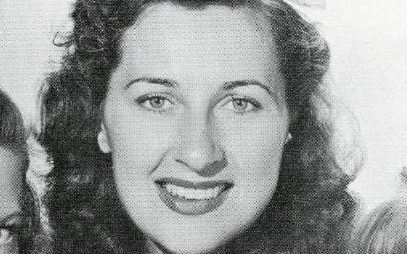 Keen to continue her performing career, Alice and four friends (June Clifford, Virginia Erwin, Dottie Messenger and Denny Wilson), who worked at various studios as singers and film extras, formed the Music Maids. The group hit the big time when Bing Crosby, who had been looking to make changes to his act on his popular variety programme Kraft Music Hall, which aired on NBC radio and television, contacted his business manager (and eldest brother) Larry Crosby, who knew Ed and Alice Ludes and arranged an audition. But Crosby “didn’t like to rehearse, and preferred singing his own version of a song. That could be difficult at times, but me and the girls loved, loved, loved it.” Alice Ludes and theMusic Maids performed on Kraft Music Hall for nearly six years. During the Second World War, the Music Maids were in demand for personal appearances and entertained troops at the Hollywood Canteen. Away from Crosby, Alice Ludes performed alongside Roy Rogers and Dale Evans. She also lent her singing voice to the The Wizard of Oz (1939). Along with the Music Maids, she also performed in several films including a part in Broadway Melody of 1940, Hit Parade of 1943, Girl Crazy (1944), Meet Me in St Louis (1944) and The Harvey Girls (1946). Shortly before the end of the war, the Music Maids became a group of four instead of five. Hal Hopper, who had formally been with the Pied Pipers, then joined the girls, and the group became the Music Maids and Hal. It was Bing Crosby who finally pulled the plug on the act when he and Larry Crosby decided upon another change for Kraft Music Hall. The group continued to perform on stage across the United States for a while but, as music tastes changed and some members of the group left to pursue other interests, they disbanded. Alice Ludes retired in 1947 to focus on her children and family. Ed Ludes, who later became an actor and artist, died in 1987. Alice Ludes was rediscovered aged 100 living in Ventura, California, where she still played the piano and entertained fellow residents some 30 years her junior at a local care home. She also took up oil painting. The reference to TV is misleading, given that the period referred to is the mid 1930s. Go to the "Bing" magazine site for full details of the KMH shows in which the Music Maids appeared. The LP "On The Air" ,#21 on the Spokane label, has a picture of Alice with Bing on the rear of the sleeve, as well as a picture of all of the Music Maids on the front (and a good number of songs from 1939-1941). Sorry Richard I didn't send you the Daily Telegraph notice. Did to Malcolm and Michael. I was twiddling my thumbs in Portland trying to get a flight to LAX. It was in Monday's Telegraph . Thanks for a characteristically thourough posting, Richard. At the risk of going slightly off-piste, it was good to see the scans of the Spokane LP. It brought back happy memories of scouring the shelves in the long-since-disappeared Dean Street Records, just off Shaftesbury Avenue on the border of London's Soho district in the early 80s. Spokane releases would turn up fairly regularly, but I seem to remember that they were priced at £5.00 - about twice the price of a full-priced LP at the time, so represented quite an investment. Very occasionally, I would find an individual volume from the Bing's Hollywood series, but these were out of the question, invariably being priced at £25.00 and upwards! To get back to the subject of the thread, however, RIP Alice Ludes. I think I'll spend part of the evening listening to some of those KMH shows from the Golden Age of Bing's radio career. Wow, 104, who can complain? Always liked hearing Bing sing with Music Maids and enjoyed them on the show. They should have remained on the show longer. However I can't say the same for the Charioteers, I find this group thoroughly unlistenable and wish they were a one time only appearance. As it is now I just skip over their part when they come up on my cd. Don't understand Bing's keeping them on so long. I wished he had the Ink Spots instead, I love those guys. Ink Spots never did make an appearance on Bing's shows, I wonder if Bing ever shared a program with Ink Spots? Maybe a Command Performance? Well, that'll do for now for our memory flashback of going thru record bins with one finger flicking lp after lp till you found one you liked and picked it out to add to the pile you wanted to buy. How many hours did I spend on my feet looking thru used record store bins? I don't think I could stand for all those many hours anymore. Ah, ain't youth grand! Ink Spots never did make an appearance on Bing's shows, I wonder if Bing ever shared a program with Ink Spots? Maybe a Command Performance? The Ink Spots appeared on two KMH shows but so far as I know not with Bing on any other shows. The first was 27th February 1941 but it is not clear what they did. The second was 26th March 1942 when they sang (what else?) Do I Worry for which of course they are most remembered. They did not sing with Bing. “The Ink Spots On The Air” on LP and CD from Sandy Hook has them from the second of these but Bing's only involvement is narration and intro. Sandy Hook SH2084 (LP) and CDSH2084 (CD). The Music Maids were on both the stated KMH shows. Thanks for posting the album cover pictures, Archiefit - a real trip down memory lane. I seem to remember that here in the UK the releases with the multi-coloured covers were slightly more expensive than the monochrome ones - hence they never found their way into my collection! It's odd to think that all those years ago - as Archiefit says - we used to spend hours browsing through record shop racks for long-awaited imports and now we can get most of the radio material within a few minutes, with a few clicks of the mouse and at virtually no cost. -and there was the experience of going to a strange town, finding a different dealer and browsing their racks. But life wasn't just made simpler by the internet. Long before that it was the dealers (and one or two fellow enthusiasts) who circulated lists of all their stock, new imports and special offers. You could go through them all, marking preferences and letting out involuntary whoops of joy when you found something new. Most disconcerting to my fellow train commuters back in the 70's and 80's on the days I had just received a new list in the mail. Then there was the dismal task of deciding what you could or could not justify including in your order.